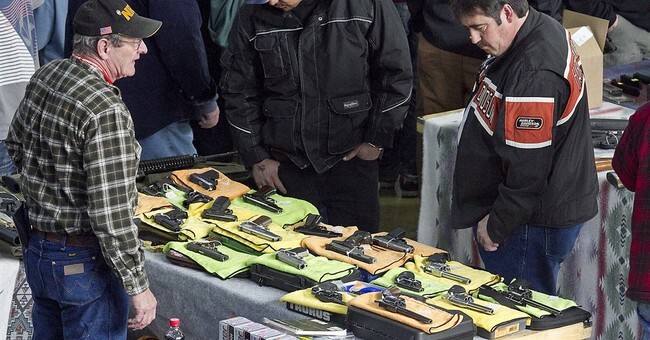 The fellows at Spike’s Tactical and Pipe Hitters Union have had an…interesting week, to say the least. First, they found themselves attacked by Newsweek. The two companies responded. You’d think that would be the end of it. However, it seems Vice took issue with the two companies as well, and they felt the need to respond to yet another attack I can only describe as libelous. 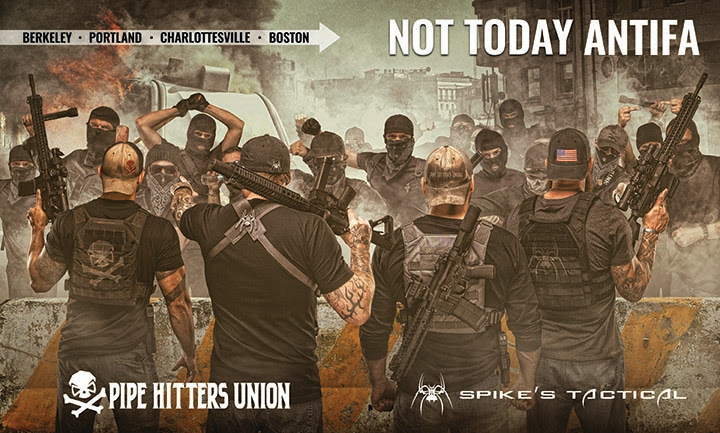 APOPKA, Fla. – On Sunday, Spike’s Tactical, a Florida-based gun manufacturer, and Pipe Hitters Union, a Texas-based apparel company, released a joint advertisement. Throughout the week, the ad has apparently caused left-leaning media outlets like VICE News and Newsweek to disregard basic journalism ethics like fact-checking for accuracy and maintaining any form of neutrality. The ad, which depicts a group of violent Antifa protesters armed with weapons, who appear to have just set fire to the city behind them, are charging forward on one side of a barricade, while on the other side, there are four lawfully armed men standing guard. Their guns are not pointed at the attackers and their fingers are off the triggers. The dual-page ad is featured in the current issue of SKILLSET Magazine and was designed as part of an annual joint advertisement for RECOIL Magazine by Spike’s Tactical and Pipe Hitters Union for the 2018 SHOT Show convention in Las Vegas. On Monday, Newsweek fired back at Spike’s by running a one-sided hit piece, and the attacks continued Wednesday when VICE News ran their article. Newsweek failed to contact Spike’s Tactical and Pipe Hitters Union for comments related to the article, while insinuating to their readership that the companies support neo-Nazis and white supremacy groups. By Wednesday, the left-leaning media company VICE News decided to do a story and reached out to both companies for comment. 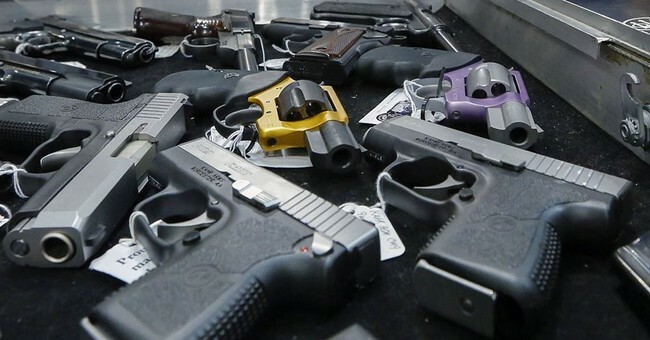 Without hesitation, Spike’s Tactical and Pipe Hitters Union offered a joint response to address the journalist’s six questions and offered to provide a tour of Spike’s tactical and make someone available for in-person interviews. When the article ran, however, it was beyond evident that it was yet another attempt to push propaganda and a political agenda. In the article, VICE News vaguely alleges the companies support neo-Nazis and racism by using a quote from a Facebook commenter in their article. By leaving out the companies’ response denying any support for white supremacists, (hyperlink to image) the VICE reporter allows readers to draw the conclusion that these companies support racism, despite having contrary evidence. “This kind of agenda-driven journalism is exactly the problem. Our biggest complaint is that we’re being called neo-Nazis and white supremacists, and the so-called journalists that have asked us about it, have refused to include our responses categorically condemning neo-Nazis and white supremacists. Again, for the record, we always have and always will adamantly condemn racism, white supremacy and any threat to America, foreign and domestic,” said Lincoln A. Osiris, president of Pipe Hitters Union. The VICE News article also refers to Spike’s Tactical as a weapons dealer and retailer. Spike’s Tactical is actually a weapons manufacturer. Additionally, and probably the biggest example of an absolute failure to care about reporting factual information, is the original post that VICE News ran, prior to being contacted to request a correction to their story. 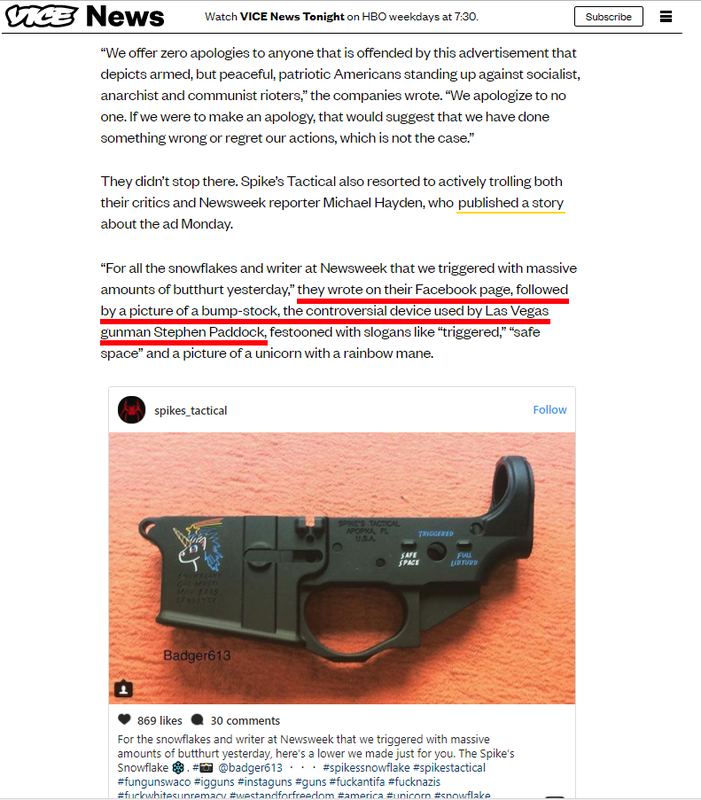 VICE News posted a screenshot of a Spike’s Tactical Facebook post showing a picture of a stripped AR-15 lower, but falsely claimed that it was a bump-stock similar to the ones used by the Las Vegas killer. 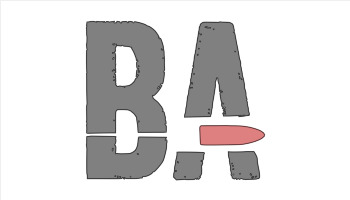 Spike’s Tactical was founded the day before 9/11 by Mike and Angela Register and is headquartered in Apopka, Florida. The family-owned business employs around 40 people and all products are made exclusively in the USA and assembled in Florida. Spike’s Tactical is regarded as one of the premier AR-15 manufacturers in the world. Their mission is to build the highest quality products and offer them at the best possible price to the consumer. Spike’s Tactical weapons are designed to military specifications for civilian, law enforcement and military use. All products manufactured by Spike’s Tactical feature a manufacturer’s lifetime warranty. Pipe Hitters Union is a disabled combat veteran-owned and operated small business, founded in 2004 and headquartered in Austin, Texas. PHU was founded by a small group of special operations combat veterans that shared a common belief in the unity of cause, the willingness to face extreme obstacles head on and the absolute refusal to backdown in the face of adversity. Since then, the message has spread to like-minded individuals from all professions and walks of life. Whether military, law enforcement or civilian, Pipe Hitters throughout the world are pushing their limits daily and making their mark. The PHU brand is a mark of distinction and a call for others to join us. Now, as noted, Spike’s Tactical and Pipe Hitters Union issued a reply. 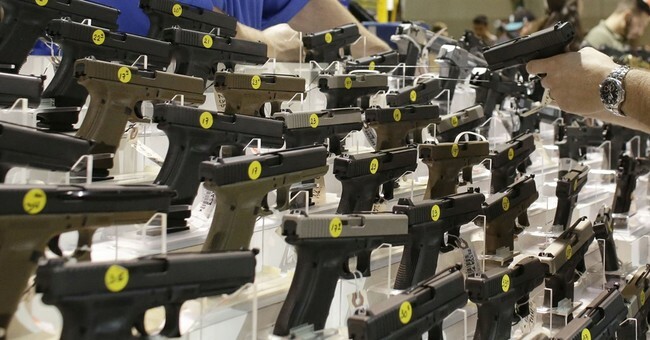 Their statement to Vice was essentially the same thing we got here at Bearing Arms. They made it clear they don’t support neo-Nazis or fascism. As for the claim that Spike’s posted a bump stock, well…let’s just say it proves how little Vice knows about firearms. That’s a lower receiver. In particular, it’s the Snowflake lower the company put out not all that long ago. It’s not a bump stock. Vice has since edited that tidbit out of the story, however. It seems they can learn…after they were contacted by James Judge, spokesman for the two companies. But none of that matters. Spike’s Tactical and Pipe Hitters Union committed only one sin. They portrayed Antifa as exactly what they are, a rampaging mob made up of violent thugs. Leftist media can’t handle that, so both companies need to be cut down. Judge, forwarded me a screenshot of his correspondences with Tess Owens, the Vice writer. As you can see, it was made abundantly clear that neither company ascribes to neo-Nazi ideology. Their denial is vehement and firm. You can’t get much more firm than that, yet note how that didn’t make it into the article. It goes to the very core of the claims being made and the charges being leveled against the two companies. Why leave it out? Because, like I noted yesterday, this isn’t journalism. This is activism masquerading as unbiased reporting. But it’s nothing of the sort.